A central development in international law is the intensified juridification of international relations by a growing number of international courts. 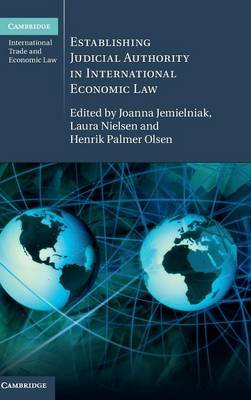 With this in mind, this book discusses how international judicial authority is established and managed in key fields of international economic law: trade law, investor-state arbitration and international commercial arbitration. Adopting a unique legal-centric approach, the analysis explores the interplay between these areas of economic dispute resolution, tracing their parallel developments and identifying the ways they influence each other on processual mechanisms and solutions. Drawing together contributions from many leading scholars across the world, this volume considers issues such as the usage of precedent and the role of legitimacy, suggesting that the consolidation of judicial authority is a universal trend which impacts on state behaviour.